There is increasing concern that materialist capitalism is trying to overshadow and delete Jesus Christ from Christmas celebration. If you have such concern, you are sharing the opinion of Pope Francis, and many other Christians, including myself. Jesus Christ is the reason for Christmas and we should make sure we place him back in the middle of Christmas. We, and our families, should ensure that all the mad rush for shopping, gifts, cooking, welcoming/visiting guests, do not overshadow Jesus Christ, the essence and reason for Christmas. Sometimes I wonder, if I were Jesus Christ, how I would feel to know that on the celebration of my birthday, people prefer to spend time on the shopping and food associated with my birthday, and totally, totally forgot about me. From a purely etymological analysis (analysis of the words Christmas and capitalism’s origin), Christmas predates capitalism. So, capitalism cannot have created Christmas. In English, the word Christmas (Old English Cristemessa which meant Christ’s Mass, Christ’s festival or Christmas Day) was first used around 1100 (See The Harnhart Concise Dictionary of Etymology; The Compact Edition of the Oxford English Dictionary). And the word Capitalism was first used in 1854 (See The Harnhart Concise Dictionary of Etymology; The Compact Edition of the Oxford English Dictionary). So Christmas, as a word and concept in English, had been used for over 700 years before the word (and concept???) of capitalism emerged. Thus, capitalism cannot have created Christmas; Christmas by far predates capitalism as a concept. There are christian denominations that do not celebrate Christmas. Their reason is that December 25 was not the date Jesus was actually born. Some others argue that it is actually a pagan feast. For lack of time, I will deal with the first. Yes, we don’t know the exact date Jesus Christ was born; we can guess based on historical data. 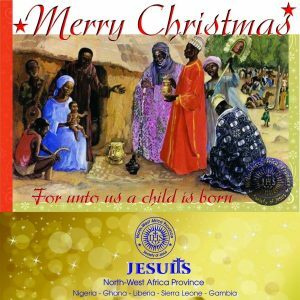 But, we know that Jesus Christ was born; today, Christians as well as the best secular historical scholars attest to the historical existence of Jesus Christ. As Christians, that is a part of the fact that Christmas Day celebrates. That Jesus Christ, Son of God, Savior of the World, was born! We too have parents, uncles and aunts who don’t know the day they were born, but we join them in celebrating whatever date they chose as their day of birth. Since we are all aware they were born someday, we have no problem celebrating the day they chose. So, they chose a date, and we respect and celebrate that date as their birth days. They have that date in their documents (passports, civil service documents, etc); the government and even the international community respects that date. I see no problem at all with chosing a date for Jesus Christ. Remember, the choice of December 25th predates the protestant reformation. By the way, we Africans were the first to celebrate the birth of Christ! In 200 AD (that is about 1800 years ago) in Egypt, among the Egyptian Christians, the celebration of Jesus Christ’s birth began. This was far before the existence of Europe as we know it, and even the “discovery” of America by Columbus (Europeans and Americans are the originators and contemporary champion of capitalism in the world)! Even before their existence, Africans were celebrating the birth of Jesus Christ. Thus, you can blame the celebration of Christmas on Africans! Thus, rather than stopping the celebration of Christmas, I will encourage us to see that Jesus Christ is at the heart of our Christmas celebration. I just in google “christian ideas to celebrate Christmas”, and I found this and this and this; and there are more! There are so so so many symbols and meanings associated with the Christmas celebration. Let us make effort to research and share those meanings with our children and family. What is the best Christian way to celebrate Christmas? Let us strengthen this celebration by putting Jesus Christ at the center of our Christmas. What does the Christmas tree symbolize? What do the lights and candles mean? What does the Christmas wreath symbolize? Why do we exchange gifts at Christmas (e.g. can’t we understand it in the fact that God first gave us Himself as a gift wrapped in an unexpected package of a vulnerable. defenseless baby. If that be the case, must we buy gifts to share Christ with others? Must we buy gifts to imitate what God did for us in the birth of Christ? God shared what God valued most as a gift. Most times, the best gift we can give others is the best of us, not things, as the Christmas commercials make us believe. Can we go back to that)? Why do we welcome guests or remember the poor (remember that Jesus Christ was born very poor, homeless…requiring gifts from total strangers in his first days on earth. Can we replicate these)? Thanks to technology, we can research these things, or challenge our children to research them from authentic websites and share? When people are confused and need clarification, then reach out to someone more knowledgeable who could help (in my own way, I will be glad to help; in spite of my awareness that I am also learning and have a lot of things I don’t know). Xmas has been used for Christmas. I was one of those who opposed the use of Xmas (just last year) until someone else helped me understand that Xmas is not actually opposed to Christmas. They are the Same. Christmas is made of two words Christ + Mass. Christ stands for Jesus Christ. Mass stands for Mass as we know it in the Catholic Church. It is a Mass that basically celebrates the birth of Christ. Christmas. X, over the years, was used to represent Jesus Christ. Why? When you write Christ in Greek (the original language in which the New Testament Bible was written) X is the first letter in the name of Christ (in Greek, it will actually be Christos but written χριστός). Please take some time to read what we call Christogram. When you do, some of the symbols you see in Christianity and especially the Catholic Church will begin to make sense to you. So, Jesus Christ’s name was abbreviated to symbol the first letter, the symbol X (this is very common in early Christian art…contemporary art/graphics/designs are reviving some of these like the use of the symbol of fish for Jesus which people put in their cars). So Xmas is obviously a combination of Christ + Mass. Voila! Ugo Nweke, the author is a Roman Catholic Priest currently pursuing a Doctorate in Leadership at Creighton University in Omaha, Nebraska, USA. There are lots to be read into the recent report by the Fiscal Responsibility Commission on the debt profile of various state governments in 2016. According to the Punch of March 20 2018, which reported extensively on the report, the debt profiles of about 18 states exceeded their gross and net revenues by more than 200 per cent. The paper quoted the FRC as saying that the debt may have increased by 2017 since “there was no effort by the states to clear them”. 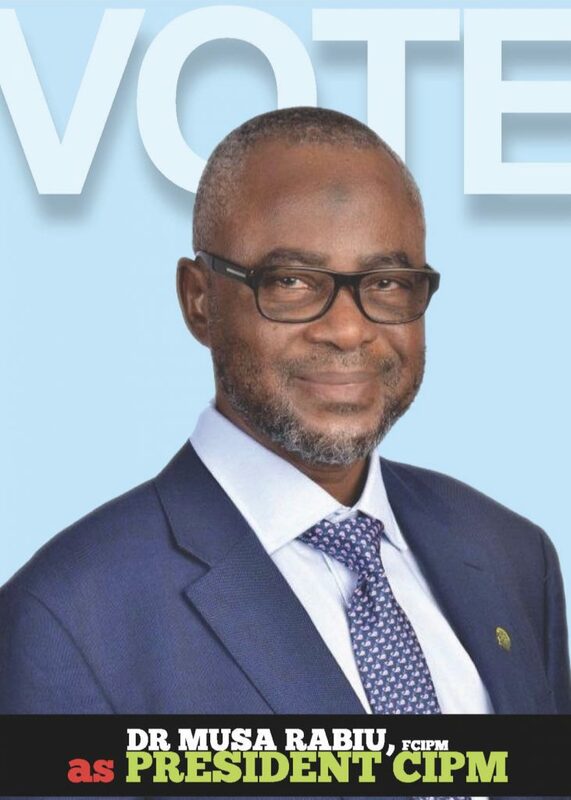 It also quoted the FRC as saying that the development was contrary to the guidelines of the Debt Management Office on debt sustainability, which recommends that the debt status of each state should not exceed 50 per cent of the statutory revenue in the previous 12 months. “In the light of the DMO’s guidelines on the Debt Management Framework, specifically, sections 222 to 273 of the Investment and Securities Act, 2007 pertaining to debt sustainability, according to the guidelines, the debt to income ratio of states should not exceed 50 per cent of the statutory revenue for the preceding 12 months,” the FRC was quoted as saying. Analysis of the FRC report (which was based on the debt profile of the states as of December 31, 2016) showed that most of the states of the federation flouted the regulation as they exceeded their debt to revenue ratio by more than 100 per cent. According to the report, the worst offenders were Lagos (670.42 per cent), Osun (539.25 per cent), Cross River (486.49 per cent), Plateau (342.01 per cent), Oyo (339.56 per cent), Ekiti (339.34 per cent), Ogun (329.47 per cent), Kaduna (297.26 per cent) and Imo (292.82 per cent). Others were Edo (270.8 per cent), Adamawa (261.96 per cent), Delta (259.63 per cent), Bauchi (250.75 per cent), Nasarawa (250.36 per cent), Kogi (221.92 per cent), Enugu (207.49 per cent), Zamfara (204.91 per cent), and Kano (202.61 per cent). According to the report, the debt to net revenue of the states puts some of the states in even more precarious situation. For instance while the debt to net revenue of Lagos State is a whopping 930.96 per cent that of Cross Rivers State is 940.64 per cent. The report found that the only states whose debts did not exceed the recommended 50 per cent ratio by more than 100 per cent were Anambra, Borno, Jigawa, Kebbi, Sokoto, Yobe and the Federal Capital Territory. One, the amount of revenue accruing to a state has no relationship with its debt profile. For instance Lagos State which has the highest debt to gross revenue ratio of 670.42 per cent (and debt to net revenue of 930.96 per cent), is one of the highest receivers of funds from the Federation Account. It has also one of the best internally generated revenue profiles (thanks in part to the location of prime businesses there). In September 2017 for instance, it received from the Federation Account N8.8bn, compared to say Borno and Anambra which received less than half of what it got from the Federation Account alone during the period and yet stayed within the recommended 50 per cent to revenue ratio. Remarkably none of the top receivers of funds from the Federation Account – Akwa Ibom, Delta, Rivers, Bayelsa, Kano and Kaduna States – made it in the ‘honours’ list. In fact the states whose debt did not exceed the recommended 50 per cent ratio by more than 100 per cent according to FRC received the following sums in September 2017 from the Federation Account (I am using a random month and year for which data on what was received by all the states are available): Anambra (N4.3bn), Borno (N4.9bn), Jigawa, (N4.67) Kebbi (N4.26), Sokoto (N4.1bn), Yobe (N4.15bn). Two, a survey published in May 2017 by BudGIT, (a civic organisation founded in 2011to simplify the budget and matters of public spending for citizens), found that most states, including some top receivers of funds from the Federation Account and many heavily indebted states, owed workers arrears in salary and pension payments. Among the States which it found were not owing salaries were Anambra, Borno, Akwa Ibom, Cross River, Kaduna, Kano, Kebbi, Lagos, Plateau, Sokoto and Yobe. 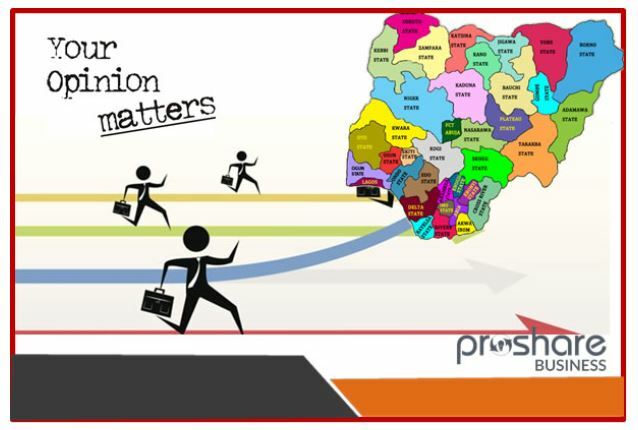 Remarkably while rich Delta State and Bayelsa States owed upwards of six months salaries, Yobe, Kebbi and Anambra which receive less than half of what they get from the Federation Account did not owe any salary arrears. The above raises the question of whether revenues accruing to states are good indicators of the viability of states. It will seem from the above that the capacity for governance and managing resources may be better indicators of state viability than the quantum of money that flows to states. Three, while oil money controlled by the federal government has made it the central site of the intra elite struggles for power and privileges, a commensurate attention is not paid at what happens at the state levels. In fact while the country’s democracy is in a transition mode at the federal level, it appears to be suffering from arrested development at the state levels. Just consider these: In Imo state, which was found by BudGIT to owe primary school teachers two months arrears of salary and pensioners 24 months arrears in May 2017, the government strangely found enough resources to build statutes of personalities that caught his fancy, including that of Jacob Zuma, former President of South Africa, who is now facing corruption charges in his country. The same Governor gave the ministerial slot for his state to his father-in-law and is now pushing for his son in-law to succeed him. In Kaduna state, an otherwise smart governor had to pull down a house belonging to his political opponent. In virtually all the States, the Governors behave like monarchs rather than elected executives that are accountable to the electorate. Is there any State in the country where the State House of Assembly is not a rubber stamp of the Governor? Is it possible for a State Governor to lose a court case in the State’s High Court? Can the party of a state Governor lose Local Government elections in the State? Compared to what is happening at the state level, the federal government seems to be doing well. Four, what the different ethnic and regional factions of the political class demand from the federal government, they often negate when it comes to their own states. For instance, while we all extol the unwritten power rotation agreement between the Northern and Southern parts of the country, will it be a crime for the politicians to respect the same principle in their states? Will it for instance be a crime for a power rotation arrangement in Benue, Kaduna, Taraba and several other states in the country so that all the key constituents of a State will have a good opportunity of producing the Governor of the State? Several states in the country need restructuring, not just the federal government. The recent revelation by Senator Shehu Sani (Kaduna Central) that each Senator receives the whopping sum of N13.5m as running cost – on top of N700,000 monthly consolidated salary and allowances – has led to justified anger in the land. I join in condemnation of bogus payments. But I will like also to put a caveat: several comparisons of what the Senators earn with what their counterparts earn in Europe, USA and elsewhere earn, miss the context. The truth is that the electorate in Nigeria (and virtually all parts of Africa) are manifestly different from their European and American counterparts. 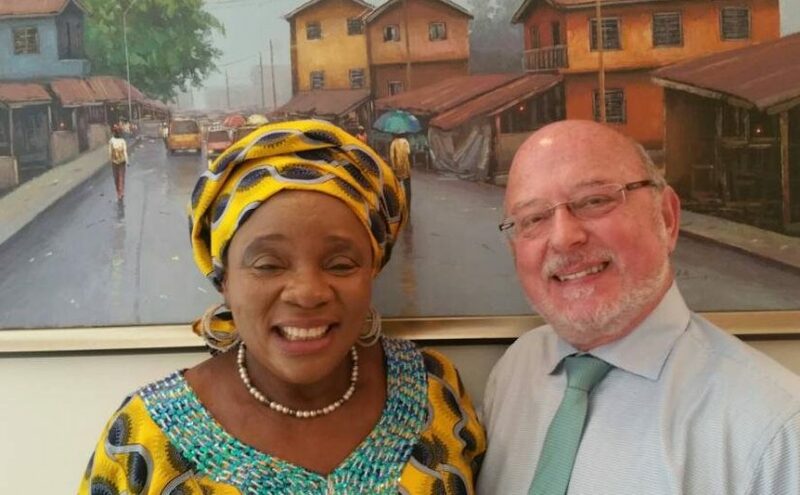 For instance while the constituents of a Nigerian Senator expect him or her to attend funerals, naming ceremonies and launchings of all hues and to be among the highest donors in such events, there are no such expectations on their American and European counterparts. Nigerian Senators, like political office holders, are also expected to become cash cows and to donate handsomely wherever they go and their presence is acknowledged including in churches and mosques. This is not a justification for any jumbo pay when most Nigerians are just trying to scrape by but to give a sense of proportion to the conversation. Again, it is important for us to compare like-for-like. So if we are justifiably angry at what Senators take home every month, we must also know how much top members of the executive and the judiciary take home – in consolidated monthly salary and monthly ‘running cost’. 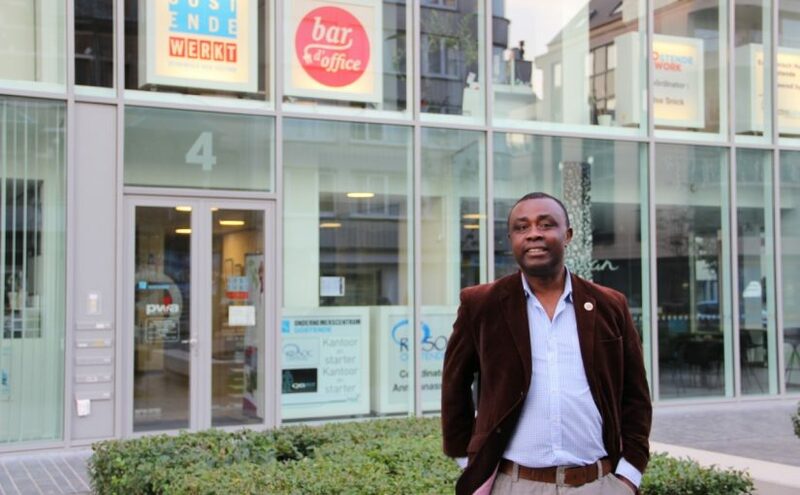 As a bespoke agribusiness summit in Brussels draws near and attracting an enviable line-up of industry practitioners, the question of the shrinking flow of public financial resources to developing economies is taking centrestage one again. This time around, it is seen more from the perspective of a blessing rather than a curse if you consider that private equity flow to markets in the Sub-Sahara African economy is actually on the rise. Those who have long held that Africa needs trade rather than aid, appear to be winning the debate while the less aggressive business risk takers are suing for caution. 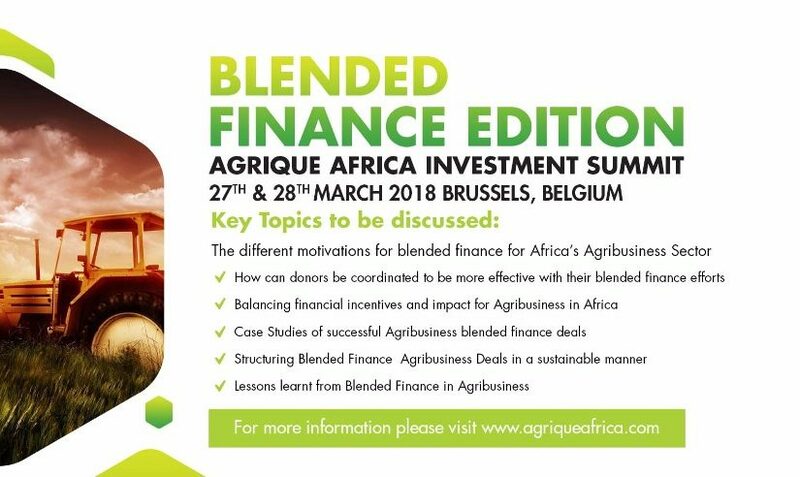 I shall be making the case at the Summit for Blended Finance as one of the few instruments tailor-made for businesses that favour a more prudent finance approach. I shall be introducing the model of blended finance, put simply, as the interface between the significantly decreased development finance and private philantropic funds deployed as seed capital in activating financial flows for activities destined for or emanating from Sub-Sahara Africa. The focus of activities will be the West Flanders Belgium rich food, beverage and pharmaceutical industries including machineries and engineering activities for these industries. Some of the ready questions that come to mind are: which are these funds, where are they located, what are the criteria for accessing them and how could they be deployed? Placing these and other questions at the core of the discourse, the presentation walks participants through blended Iroko Trade Invest finance opportunities for deal brokerage activities in the Food, Beverage & Pharmaceuticals industries emanating from or destined for Nigeria and other Sub-Sahara African markets in their trade with firms within the Western European market with West Flanders, Belgium as hub. When Jeremy Corbyn arrived on the scene as Labour Leader and therefore leader of the official Opposition in Her Majesty’s Government, many could not look beyond his unkempt beards and rather unconventional, quintessential British dressing code. Those of us that had no qualms with someone that looked and dressed differently had more time and open minds listening to his policy contents. I admit that he needed a change of barber, if he had one, and a few smart corporate suits but if he decided he wanted no make-over, I’d still give him a chance because he represents to a large degree the commonsense politics that Europe and Great Britain have lacked for a while. Was this the same as giving him carté blanc? No! I was mildly concerned about some of his Communist tendencies. Mildly because I knew that it was just a matter of time and reality will force him to a rethink of the few unholy policy positions he nursed. While extolling the beacon for democracy and human rights that the European Union currently represents, people like Kaldor are quick to draw our attention to the dominance a neo-liberal ideology that threatens to undermine the euro-zone and with it the democratic values for which it stands. Developments in Central Europe and the recent elections in Italy of which I am struggling to recover from the rude shock that a fellow European political figure of Nigerian extraction, won a senatorial seat by preaching hate, racial divisions and Italy for Italians. These are a painful reminder of the dangerous possibilities that lie ahead of us, if Europe continues to lack leaders with the pedigree of Jeremy Corbyn. The fact that there are tendencies for reform inside the European Union gives a ray of hope. Kaldor was kind to humanity when she speculated that if a Corbyn-led Labour Party were to win the next election, there is a unique – indeed a once in a lifetime opportunity – to reform the European Union and this means an opportunity to save Britain, Europe and perhaps the world. A recent pamphlet published by Another Europe is Possible makes the argument that instead of fretting about how bad Brexit will be for Britain, there is a need to think about what a Corbyn government inside Europe might mean for the future of the European Union. The pamphlet sets out a reform strategy for the European Union that is realistic to achieve if a Corbyn government were to ally with socialists across Europe. Indications are that such reform strategy would enable Britain to address the big global problems of today, and this in turn may well be a necessary condition for implementing the Corbyn-McDonnell plan of action. New proposals to stop undercutting, whereby companies deliberately recruit workers abroad under the conditions in the countries where they are recruited to reduce costs, have just been passed and will mean that it will be no longer possible to use migrant workers as a way of putting downward pressure on wages. And there are proposals for a tax on financial transactions as a way of controlling financial speculation, again a proposal vetoed by the UK in the past. Yet these proposals may be difficult to implement without at least one major power seriously committed to them. For example, in the wake of Brexit, some countries are engaging in beggar-my-neighbour policies in order to take over the UK position especially in financial services. 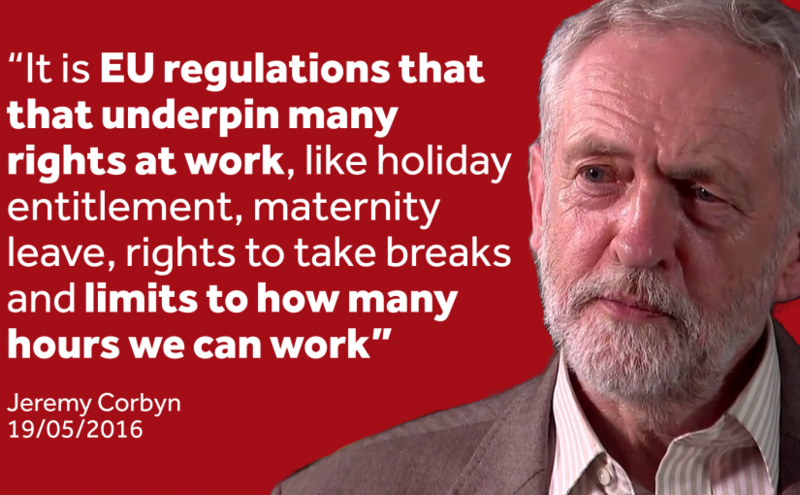 A Corbyn-led government could be key to making these reforms happen. Finally, a Corbyn-led government could change the conversation about immigration. Anti-immigration sentiment promoted by unscrupulous politicians, it can be argued, produced the refugee crisis. We live in a world of migration and it is more or less impossible to control. What is more Europe with its aging population needs migrants. Instead of creating a border security complex in which smugglers and border guards are enmeshed in an impossible business that fails to prevent the deaths of thousands of migrants in the Mediterranean, we need a policy of managed migration as was actually proposed by the European Commission but opposed by member states – one that involves a resettlement policy across the continent. A Corbyn-led government could push for replacing the current exclusive and dangerous securitised approach with one based on humanitarian and development considerations. At the lobby of a hotel in Asaba, Delta State, Nigeria where I had taken my two teenage sons to, a few years back, for an Anioma art exhibition as part of our occasional family cultural homecoming, laid a copy of a magazine ‘Anioma Essence’. A read, piece by piece of the articles contained in the magazine, was my first encounter with Emeka Esogbue, editor of the magazine. On further enquiry, the ‘Pen Master’ as he turned out to be known and fondly called, is my Isieke-Umuekea Village kinsman in Igbuzo, a historian and avid writer. A Diaspora friend and kinsman of the Enuani (Anioma) stock based in the United States of America would later do me the pleasure in July 2017 of presenting me a Birthday gift; a book entitled ‘Essentials of Anioma History’ by no other than the Pen Master himself. I have since enlarged my list of prospective books acquisition to enrich my personal library to include other works of the Pen Master, which I had earlier borrowed and read. These are: “A Study of the Origins and Migrations of Anioma Settlements” and “A Short History of Omu”. Being away from home for more than two decades and half, one begins to suffer what National Geographic Society’s Explorer-in-Residence Wade Davis called the “erosion of the ethnosphere.” Along with language, one also begins to lose touch with the arts, crafts, vocational skills, folklore, and customs of his traditional and indigenous peoples. Works such as those by Emeka Esogbue are for me a means of staying connected to my Igbuzo, Anioma heritage. Despite best efforts, the longer you are away from home the more the propensity for the culture, history and heritage to erode you. Ironically for me, my appreciation of the same heritage grows more at the same time. Next to Nna, my father and living encyclopedia of Igbuzo history, I have found the works of Emeka Esogbue immeasurable sources of knowledge of not only our history but also our traditions and customs. I would always dip into his work to arm myself for my numerous discussions and debates with my sons, now in their early twenties, who remain eager to sort out the cultural conflicts that come with been born abroad yet connected deeply to your roots. I would always tell them especially when I appear to be losing the debate to commonsense that you can’t logically disagree with something or an issue that you have no firm grasp of. The works of Emeka Esogbue help me to grasp the essence of the Igbuzo, Anioma history. I disagree with some isolated aspects of the customs but understanding them help me appreciate them. This is to a large extent because in his writings, Emeka Esogbue does not simply chronicle them as most historians before him would do, he interprets them. 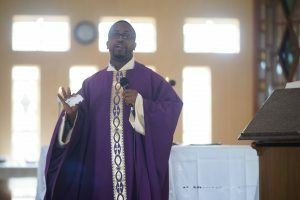 Emeka Esogbue deploys a writing style that is refreshing. He is first and foremost a historian. Reading records is therefore his point of departure. But what he does with the records actually marks him out from his peers. He is far from what I refer to as ‘historian of chronicles’ where a report is simply given on what a historian finds and informs the wider world about the past usually arranged in chronological order and providing no further comments or discussions. I guess what I find most invaluable in the work of Emeka Esogbue is his uncommon realization that historical records that survive for most periods of history are both incomplete and often contradictory. Take the case of the origin of the people of Igbuzo as example. The Pen Master’s position on this important issue is perhaps the most intelligent attempt so far in addressing the gaps and contradictions in the existing accounts. His interpretative skills in addressing historical gaps and contradictions have placed him a notch above his generation of historians and authors.